It looks like the first head coaching search of the offseason might be coming to an end. 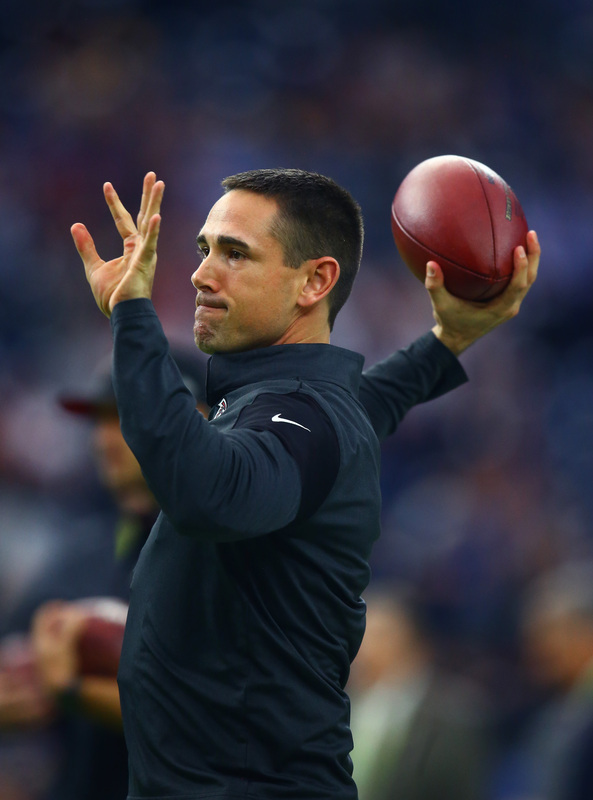 The Packers are “zeroing in on” hiring Titans offensive coordinator Matt LaFleur, sources told Adam Schefter of ESPN.com (Twitter link). The team has since confirmed the hire via press release. While nothing is official yet, Schefter writes that the Packers “have begun notifying other HC candidates that they’ve interviewed that they’re out and the team has made its choice.” Schefter then posted a follow up tweet noting that the team offered the job to LaFleur. It’s a rapid ascent for LaFleur, who last season wasn’t even calling plays. LaFleur was the Rams’ offensive coordinator for the 2017 season, but Sean McVay called the plays. He was the Falcons’ quarterbacks coach before that from 2015-2016, and learned under two of the league’s most highly regarded offensive minds in Kyle Shanahan and McVay. He was then hired away by the Titans to become part of Mike Vrabel’s first staff, where he served as the playcaller. Despite Marcus Mariota being frequently hurt, LaFleur helped guide the team to nine wins, with Tennessee ultimately falling just short of the playoffs. LaFleur is only 39, and his hiring continues the trend of teams looking for young offensive gurus as head coaches. Despite dealing with a nerve injury in his throwing arm that limited him for several games and knocked him out of several others, Mariota averaged the most yards per attempt of his career under LaFleur. While the offense wasn’t nearly as dynamic as the one LaFleur helped build in Los Angeles, it was a lot more creative and innovative than the one Mike Mularkey had been running in Tennessee. Aaron Rodgers had clearly grown frustrated with the offense during Mike McCarthy’s last years with the Packers, and LaFleur should at the very least provide a much needed breath of fresh air to the offense. While the offensive side of the ball is set to undergo a total makeover, there might be some continuity on defense. The move means the team is likely to keep defensive coordinator Mike Pettine and the rest of the defensive staff in place, according to Rob Demovsky of ESPN (Twitter link). Rapoport notes in a separate tweet that former Buccaneers offensive coordinator Todd Monken was the “other really strong candidate” for the Packers, but the team settled on LaFleur without conducting a second round of interviews. I get the notion of going younger, but shouldn’t a HC candidate at least have 3 years of play calling? Is he not calling the O plays next year and allowing someone else to do that? Matt Nagy didn’t have 3 years. And his offense has been middling at best. The Bears will be in a lot of trouble if their defensive guru Fangio decides to leave for a head coaching job. They went 12-4 with an inexperienced QB that will get better. The Bears offense will be fine, the defense still has Mack and a pretty solid group of players. Whoever the DC is they also will be fine. Not that good? What games have you been watching? Id like to see how other QB’s would do with a numb throwing hand! In case you didn’t know a QB’s throwing arm/hand is pretty important and yet he played well finished 4th in the league in completion % led the league in 3rd and long conversion %, tied for most Game Winning Drives since 2017. The guy lost his #1 & #2 pass catcher before the season really began and yet he still led his team to their 3rd winning season in a row which no other QB in Titans history had done that. He had no run game for the first 12 weeks and running for his life behind a suddenly bad o line and still managed to match or nearly match for his career best in many stats. Not to mention he had his fourth different offensive coordinator in four years so he’s had to spend every off season learning a new offense. He may get injured to much for our liking but The dude is the most clutch QB in the league. Even having well over half as many GWD as Aaron Rodgers in many fewer games. Mariota is what makes the offense go, as seen when he misses a rare game the team is a shell of what it is with him in the game. Actually having one of the largest point differentials of when he plays and when the back up does in the NFL, hes worth an extra 10 points a game. about his injuries, being injured and missing games are 2 different things and he actually didnt miss many games since after his rookie season. Dynamic enough to almost make the playoffs without their starting QB. Browns have to request an interview from him first. I actually thought that as soon as I saw this news too. I thought the only way they didn’t hire McDaniels is if he went to the Browns. It’s looking like Arians is going to the Bucs and McCarthy to the Jets so would make sense if McDaniels went to the Browns now. Nah. McCarthy to the Browns. McDaniels’ name has only been connected to the Packers. Honestly think a lot of teams are turned off by the Colts fiasco and when Belichick retires McDaniels is going to bolt. 2id, if teams are turned off by the Colts fiasco, where will McDaniels be bolting to? Turned off by the Colts fiasco AND knowing McDaniels would probably bolt, the first chance he gets, to coach the Pats. I believe McVay only had 2 years play calling experience. And LaFleur didn’t coordinate under Belichek, he worked under McVay. If this is the route they go, I like it. He’ll bring some different ideas to what had become a stale offense. Hopefully he can reinvigorate Rodgers and they keep Pettine as DC. Invigorate Rodgers by getting him some targets, and a RB. Rodgers is fine. They just need some plays that won’t end up as broken plays and force Rodgers to scramble. Less scrambling would help Rodgers as he gets older. No need to risk him getting injured. McDaniels has not been asked to interview for the Browns HC position. His only interview so far was with the Packers. No other interviews for him at this time. Maybe the Browns will reach out to the Patriots in the next few days but that’s has not happened yet. Karma a bi### when your ego gets in the way. Hope he utilizes the TE’s more so Martina Bennett, who wasn’t even motivated enough to want to play a full season, doesn’t feel the need to criticize his play calling. I’m ok with the hire. Titans have crap behind center so it’s hard to judge his performance there. He’ll now be working with one of the top QBs in the game. I worry more about the defense since Pettine is staying as the DC. Defense wasn’t the issue last year. Special teams and a stagnant offense were the problems. With a strong draft and a couple of savvy FA pickups the defense could be dominant. Alexander and Jackson has solid rookie years, don’t forget. Jackson was far from solid and needs to be moved to FS to have any value. Very true. Jackson was lost all season. I actually think Pettine is fine as a DC. (I’m also a Browns fan and just think he’s underrated in general because he had to deal with the Manziel circus and whatnot and it made him look worse than he is). Either way, he’s done well coaching defenses wherever he’s been, and he did a great job with the Packers’ rookie corners last year. Let’s not look too closely what happened with the Titans this year. Matt Ryan had a career year under him, worked with Cousins who had a break out year and helped with the development of Goff. Talk radio in Milwaukee are saying that he will challenge Rodgers intellectually which is a good thing. Also the Titans, despite all the injuries, were a game out from the playoffs. I’m excited. I’m with you, I love this move. I was rooting for him as soon as he was a candidate. He will be good for Rodgers, hopefully use Graham better, and bring some variety. I hope you’re right. I’d love to see a coach get the most out of Rodgers..he’s one of the best QB’s in the history of the league in my opinion and I’d like to see him get back to his A game. I think the injuries, bad coaching and not the best supporting cast has made it to where we haven’t seen the best of Rodgers so hopefully that changes. I’m not even a Packers fan but I am a fan of Rodgers so hopefully this is a good move for the team and him. You dont like Lafleur but think McCarthey and his dinasour play calling is a hot coaching candidate. What…. Just going off what’s being reported, Bud. You lost me with the 9ers having a ‘pretty damn good offense’. Yea..they were ranked 16th overall offense, 15th passing offense and 13th rushing…for using their 2nd and 3rd string QB after the 3rd game of the season and their back up RB who wasn’t even healthy most of the season and their rope two WR were dealing injuries all year as well…yea I’d say Shanahan did really good with that offense. “They had a pretty damn good offense..
Good luck to the guy, but how does he get a head coaching gig? Over the last two seasons, the Titans were ranked 25th & 23rd in total offense. That’s my bad, it was only one year. I can understand the Packers wanting to reclaim the glory days but is Green Bay really going to embrace Flower power at this late date? Bears fan thinks GB made a pretty solid hire. And we will be even more impressed with the Packers front office if they decide to swap kickers with us….lol. People around the NFL say LaFleur is a young Jim Bob Cooter. Should have gone with the real Jim Bob – all the Brett Favre worshipers would have approved. This is a joke of a higher he is merely just the puppet and the Packers will let Aaron Rodgers be the puppet master.